Great Restoration build. 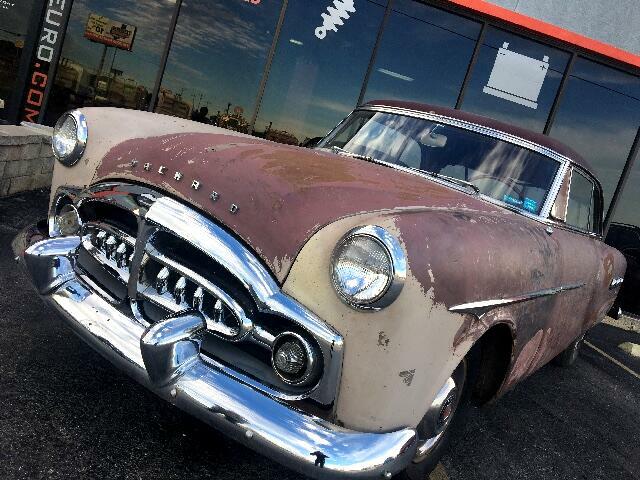 This 1951 packard ultramatic is a rare survivor from the rock n roll era. With a packard built flathead v8, this vehicle powers itself just fine. Runs and moves on its own. Comes with spare trim and components from the origina owner. This car was parked in 1979 and now ready to be brought back to beauty. Come with parts catalogs with still widely available parts for a nice Restoration. Has a new fuel cell install that just needs lines ran. As for now it is running on a external fuel tank to the pump. A lot of heart still left in this old thing. Located at import Euro Automotive and jax3 auto sales. 16685 ih35 N in Selma just passed retama race track! Visit Import Euro Automotive LLC online at www.importeuro.com To see more pictures of this vehicle or Call us at 210-637-1211 oday to schedule your test drive. IMPORTEURO.COM - IMPORT EURO AUTOMOTIVE LLC 16685 IH 35 N SELMA TX 78154 ( INTERSTATE HIGWAY 35 , NEAR 1604 ) SERVICING SAN ANTONIO AREA !